cedarpointer1990 Store Increase traffic to your listing with Auctiva's FREE Scrolling Gallery. CEDAR POINTAmusement Park 34' 1997 Used SEARK Paddlewheel Excursions Boat "OGONTZ" This is the OGONTZ or boat number 1 from the former Paddlewheel Excursions ride at Cedar Point. This boat operated at the park from 1998 - 2012. Boat still has Millennium Force drops of blue paint on the deck in places from sitting under the coaster while being painted. What a cool piece of Cedar Point history and its in great shape because the boat is all aluminum. Only needs some minor cosmetic painting and such and will look like new. Comes with two complete sets of canvas. One red set and one green as shown in photos. Boat has a very nice control panel and helm with wooden ships wheel and console cover. Your buying the boat only. The motor the boat uses is a 30 hp Honda long shaft outboard. Boat is currently set up to run off propane but can be converted very easily to gas. This is the only one of these boats from the park that is all undamaged and in-tacked. Boat also comes with keys and manuals. Seats hold 22 passengers and special spot for wheelchairs. Boat is available for your viewing. And is offered as is with no warranties. 1997 Used 34' Seark Paddlewheel Boat. Boat is in great condition. Could use to be repainted to make look like brand new. Made of aluminum. Does not have outboard motor. Boat only! Takes a 30 hp Honda long shaft outboard. Everything is there for complete hookup. Boat is currently equipped to run the motor on propane. However can be converted over to gas very easily. Seats need to be re stained or varnished or pained to look like new again. Boat comes with decorative side boards and two full canvases... one green top and one red. Canvas is in very good shape. There are no paddlewheels on the sides but the company can make some or make your own centered on pillow blocks. This boat cost $98,000 when it was new. You could not come close to that to build one today. 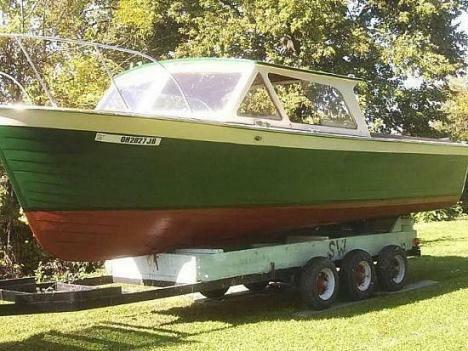 Boat is trailer able by tractor trailer. Boat has no trailer. This model of boat has been certified for passenger use by the Coast Guard. But you would have to have the certification done. According to the manufacturer. Please check out our huge CEDAR POINT related store here on eBay for hundreds of unique and rare Cedar Point items! On Jan-05-16 at 14:36:43 PST, seller added the following information: The boat has not been certified. You would have to go through the certification process. But according to the manufacturer this model of their boats has and can be certified. Cedar Point used the boat for passengers but because it was used on private property it was not certified. We do have the boat titled and also registered for use with state of Ohio sticker. So it ready for use as far a private vessel and can be put in the water. FYI.... a new 30 HP Honda runs about $4500. The Honda motors can run off propane. If you wanted to convert it over to gas you would need to replace the tank and fuel line. Which is inexpensive to do. The boat has all the running lights, wiring for a sound system, two search or spot lights, and lighting that runs along the hand rail. Don't know if it works never tried it but it might. There is also a very large hydrolytic hatch that opens to give you plenty of work room inside the hull. Boat also has bilge pumps, battery hook ups and some sort of charging system. All the controls and throttle are there and set up for a Honda. Might possibly work with other outboards to but you would have to check. This boat is in excellent shape and only needs some painting and varnish to look like a brand new boat. There is a plaque inside the hull which has the ride's name and number on it for Paddlewheel Excursions. The two sets of canvas alone are worth $10000.00 and they go on with zip ties. They are in very good shape.On Jan-07-16 at 10:21:12 PST, seller added the following information: The ugly brown spot on the hull in front is not rust. Aluminum does not rust. Its just stained paint from the dirty brown Cedar Point lagoon water. The hull only needs paint to look like new.On Jan-08-16 at 14:21:58 PST, seller added the following information: Boat has a current State of Ohio watercraft registration. Smoke stack come apart in two pieces for transporting. Smoke stack is made of fiberglass. This boat was a special build for Seark. Its longer that their base paddlewheel model they sold. Seark builds boats for the US government such as Coast Guard boats, harbor patrol, and Homeland Security vessels. They are currently only building boats for government contract. But this boat would sell new for over $120,000. Seark has plan and drawings to make the two dummy or dragger paddlwheels for the sides. Boat comes free and clear of any storage. At its present location storage costs about $180 a half year. Buyer will have to obtain storage of their own from the marina or elsewhere and pay any lift fees if you want it loaded onto your trailer. It takes a lowboy type trailer to move. Boat does not come with the name signs. Contact Captain Ed for any questions regarding the boat or listing. (567) 315-0652On Jan-09-16 at 01:25:21 PST, seller added the following information: Benches disassemble and flooring unscrews for entire access to inside bilge. Bilge is in great shape. Motor box lifts for access to motor well. There are wheel chair stops next to motor box. There is a door on the front of the helm console for access inside. 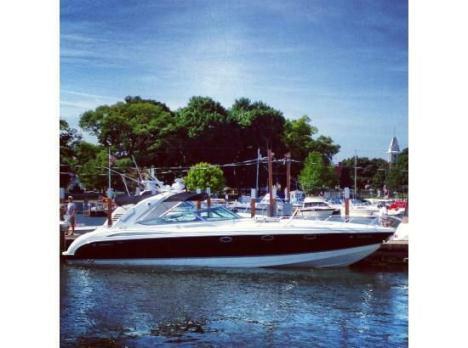 Please call boat owner Jim at 419-297-zero three three one. 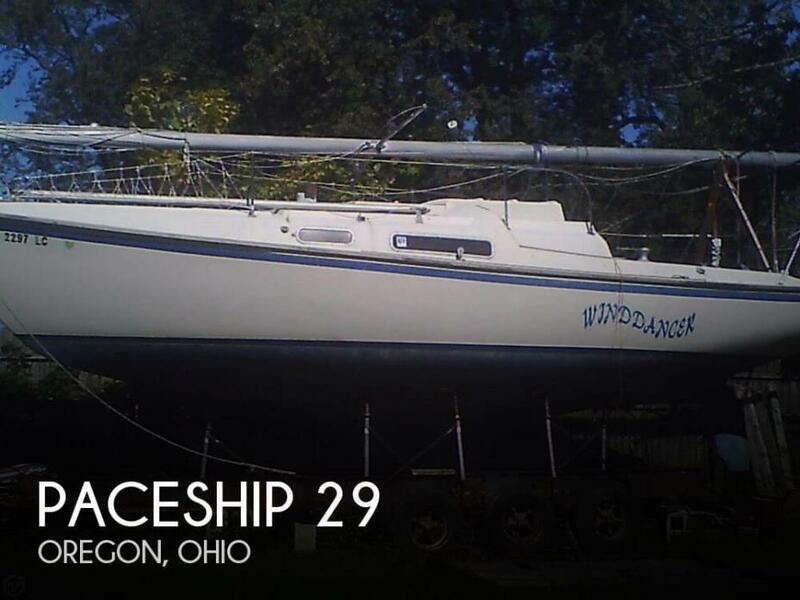 Boat is located in Oregon, Ohio. 1969 26ft lyman hardtop has a Ford 302 motor I also have the original Interceptor motor. Comes with tri axle storage trailer runs well. looks good . -------------------------------------------------------------------------------- 2004 Formula 400 Ss, 2004 Formula 40 SS, 500 EFI's, new in july 2014 bravo 3X new style dual prop drives, black onyx imron sides, no bottom paint,boat has 340 hours, furuno nav net radar, A/C and heat, vacuhead w/ macerator, silent choice, freshwater engine flush, VHF, windlass, searchlight, airhorn, sides & Aft cockpit enclosures, stored indoors heated in winter, fridge/freezer never usedboat is pristine. 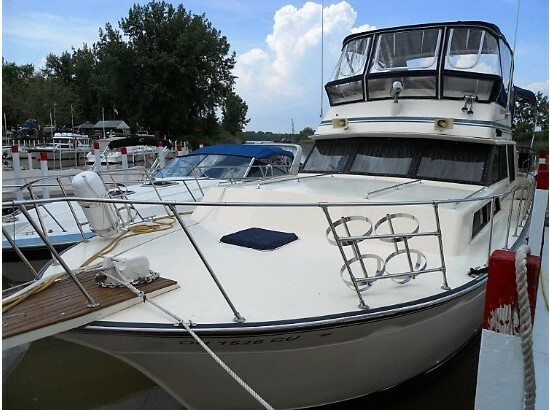 Please call boat owner David at 419-344-9005. Topside deck, galley, head with separate shower, 2 AC units, gas engines GM 454 marine engines, velvet transmisions, 9 K generator with 400 hours, all original equipment, mint condition, electronics include 4210 Garmin, radios, wet bar and icemaker on aft deck, sunbrella canvas, carpeting, queen salon with memory foam, twin bunks, double sofa bed, kitchen table. Closed cooling. By appointment.